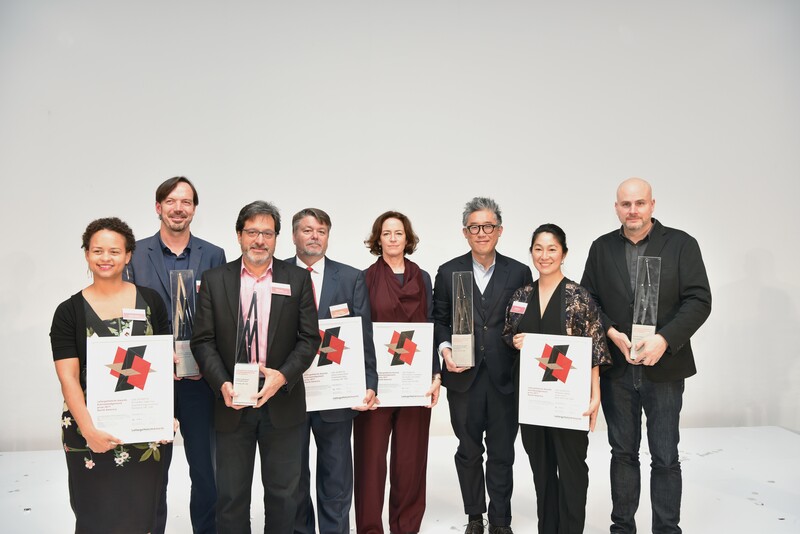 LafargeHolcim Awards Gold, Silver and Bronze winning teams: Eric Mahoney, Haibin Tan, Constance Bodurow and Will Bright (Gold); Frano Violich, Shawna Meyer and Sheila Kennedy from Kennedy & Violich Architecture (Bronze); and Oliver Lang, Cynthia Wilson and James Ko from LWPAC + Intelligent City (Silver). 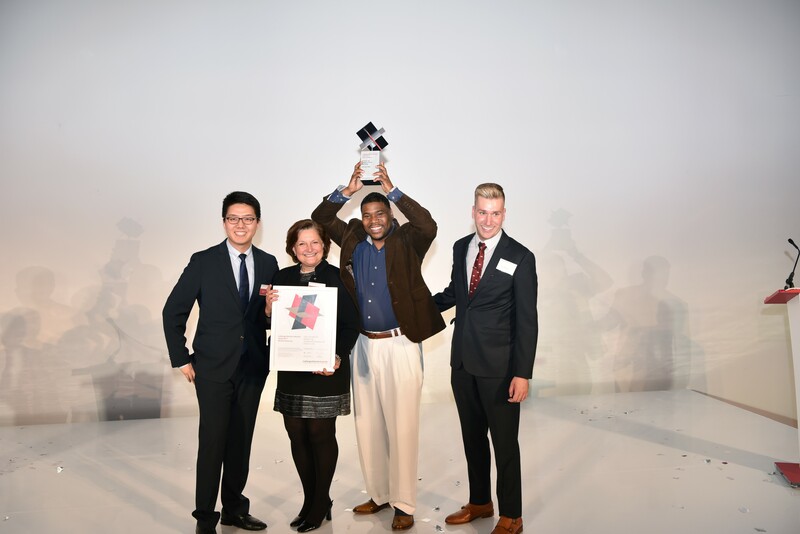 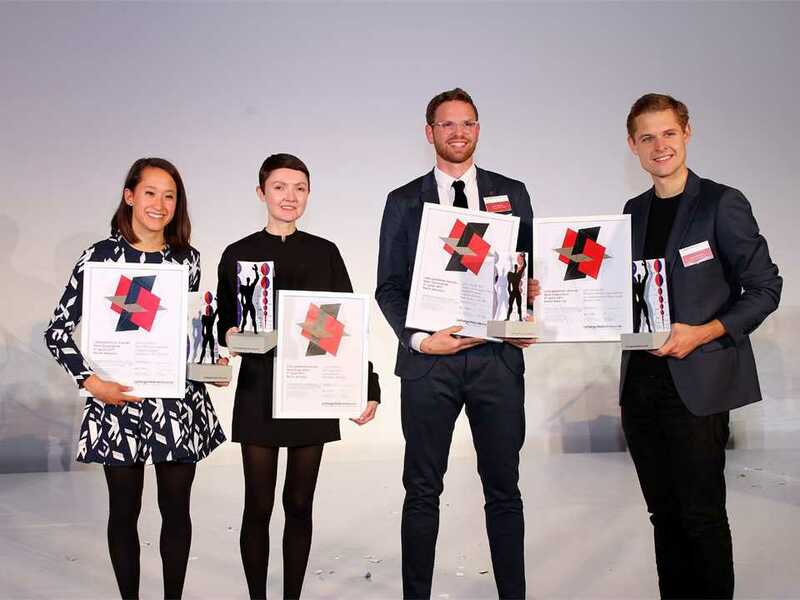 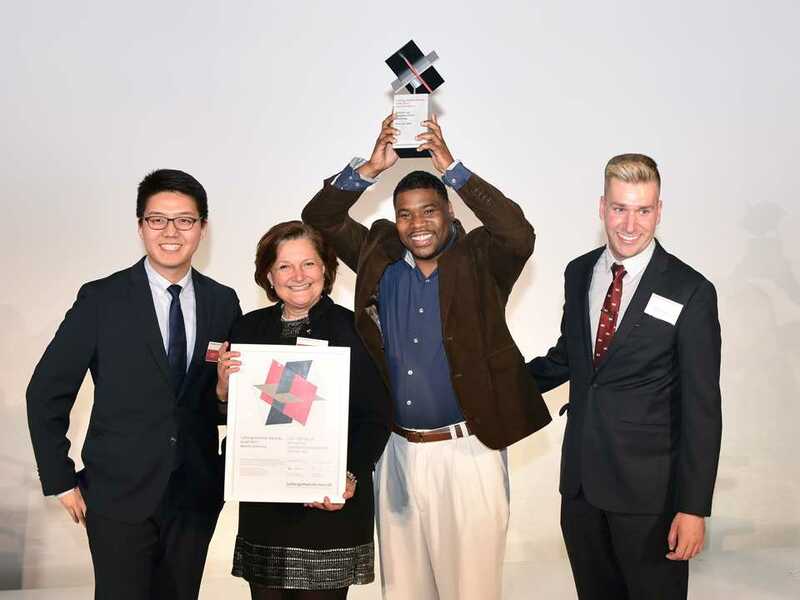 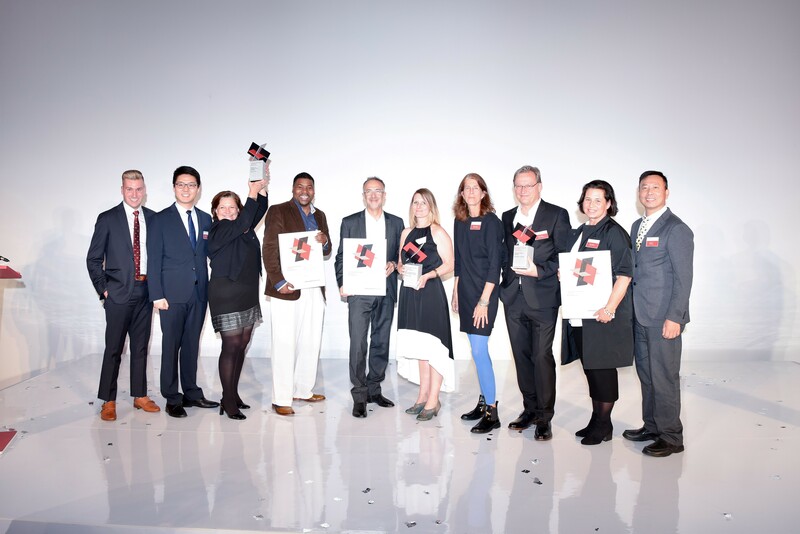 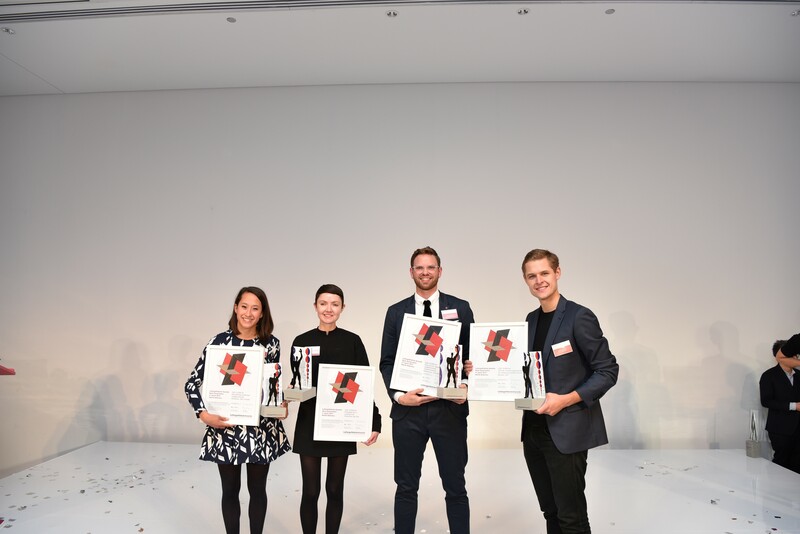 Winners of the LafargeHolcim Awards Gold 2017 (l-r): Haibin Tan, Constance Bodurow, Will Bright and Eric Mahoney for their project Community-driven neighborhood planning in Detroit. 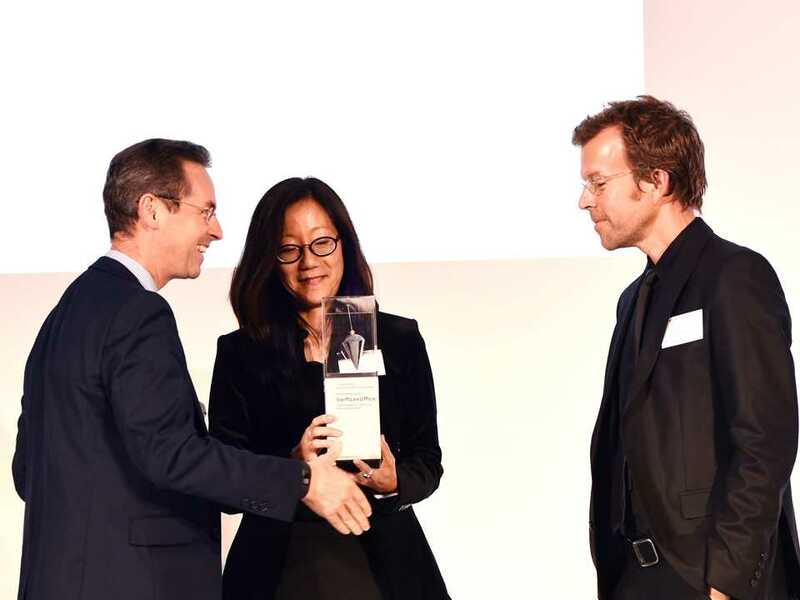 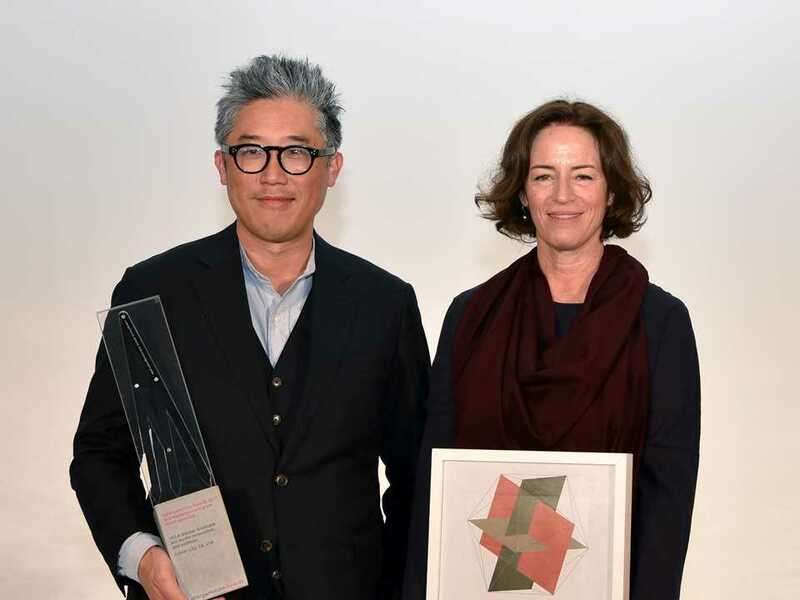 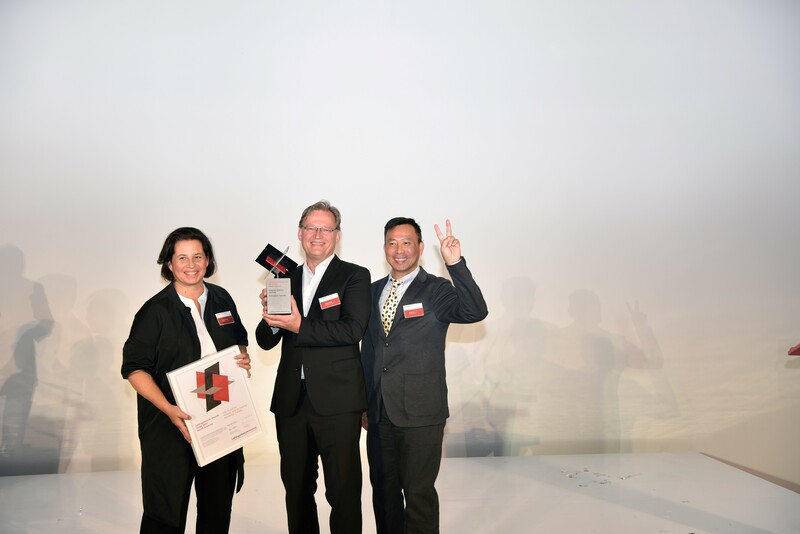 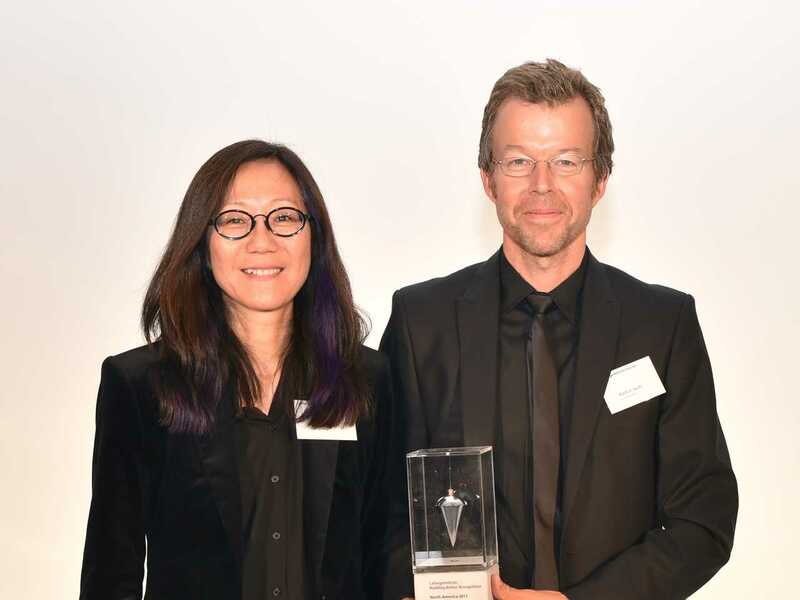 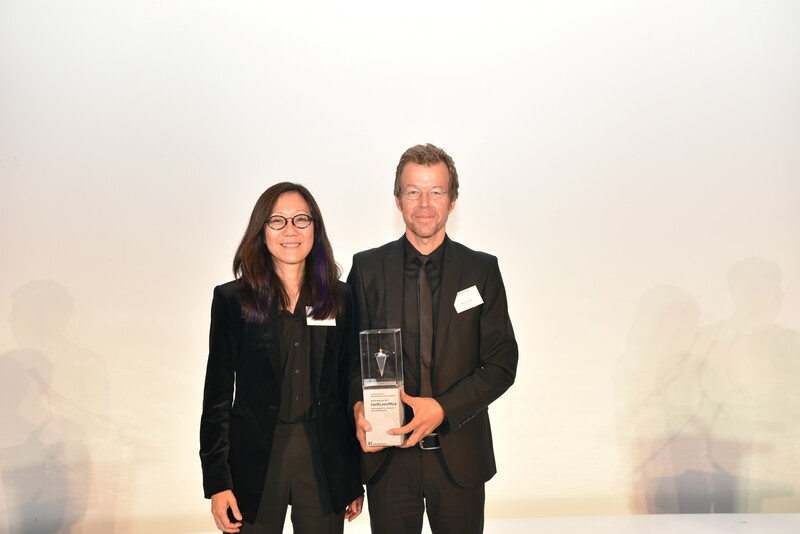 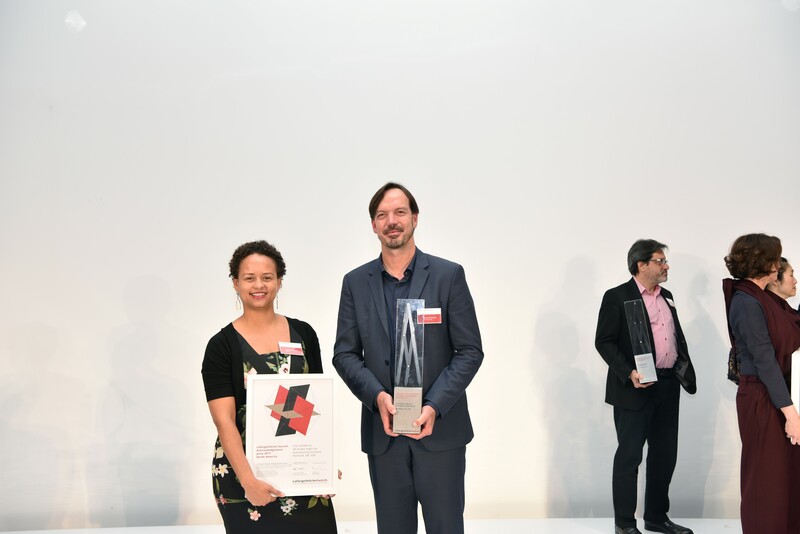 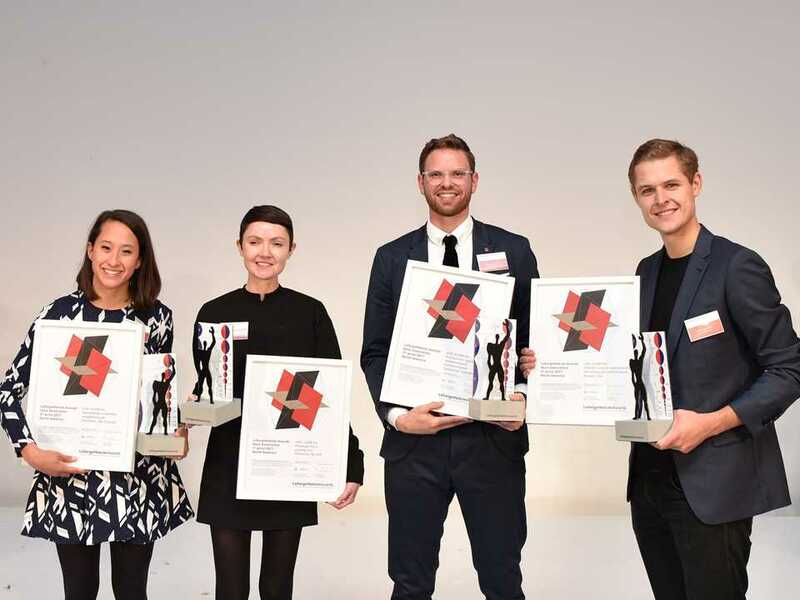 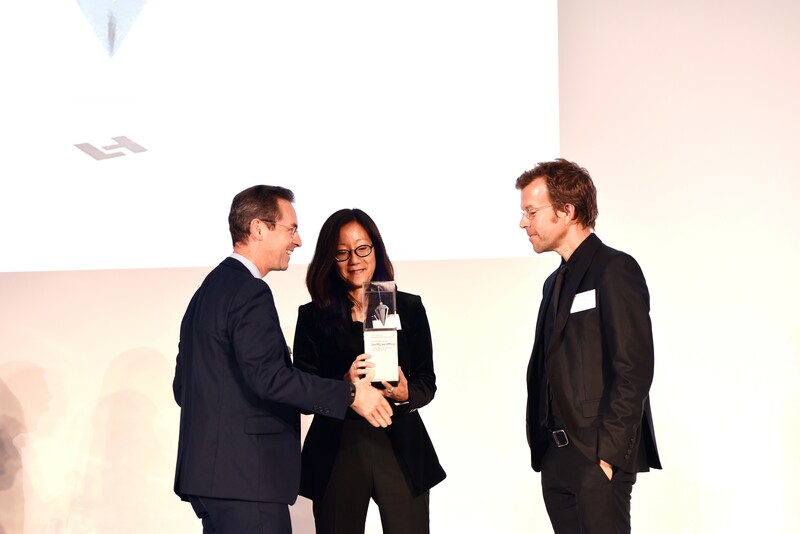 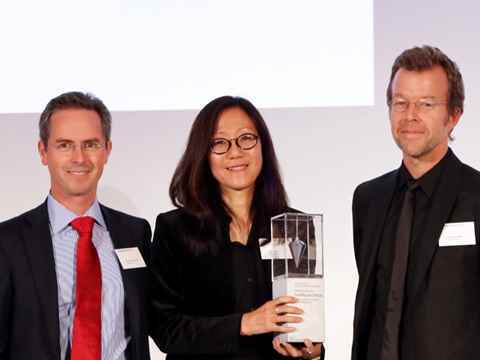 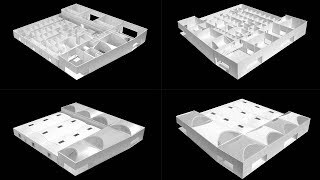 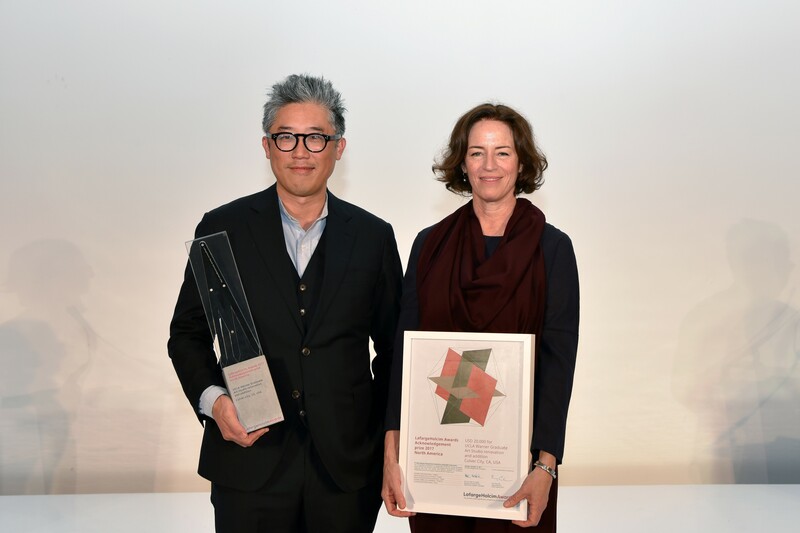 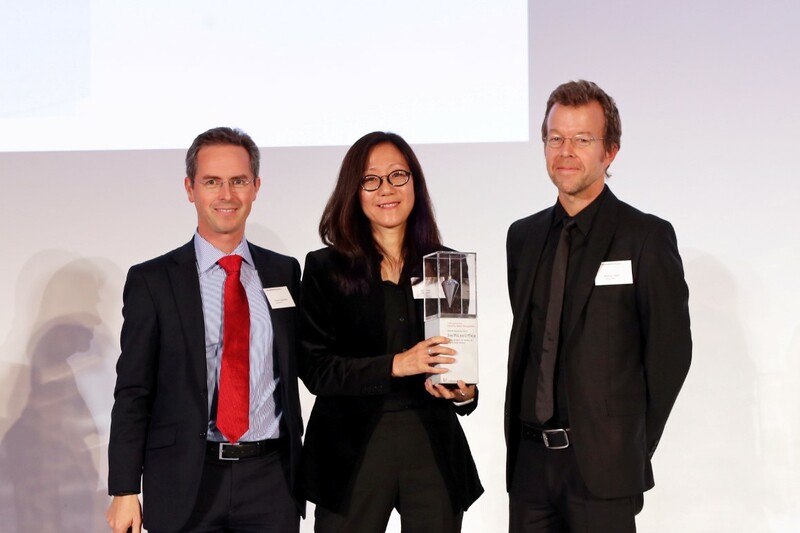 Winners of the LafargeHolcim Awards Silver 2017 (l-r): Cynthia Wilson, Oliver Lang and James Ko for a modular midrise housing project in Vancouver. 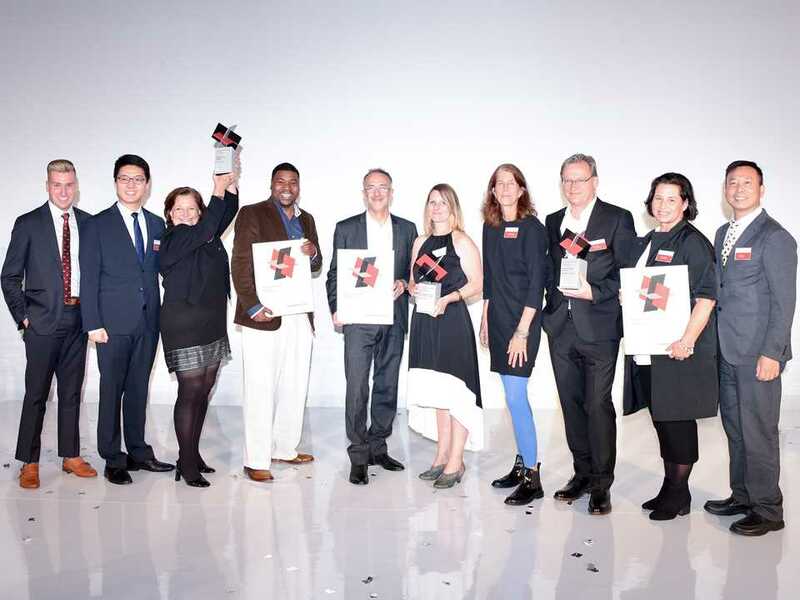 Members of the team from Kennedy & Violich Architecture (l-r): Mary White, Kristina Jones, Frano Violich, Shawna Meyer, Sheila Kennedy and Cathrin Summa. 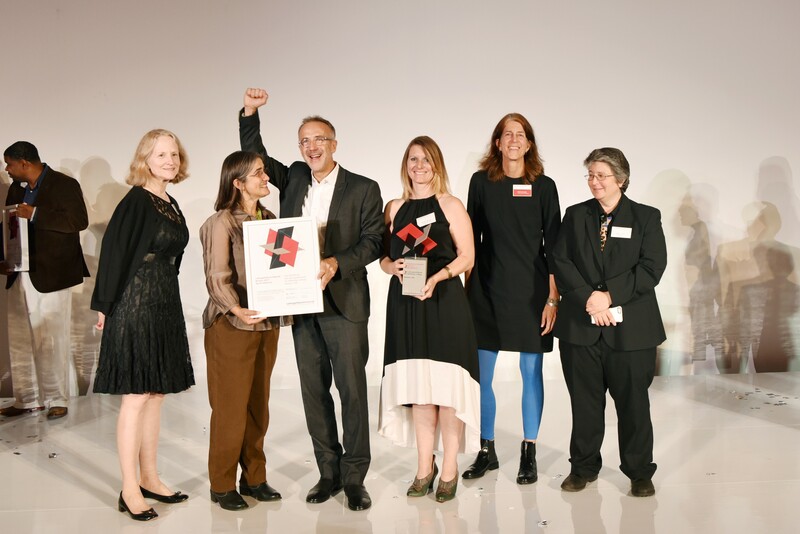 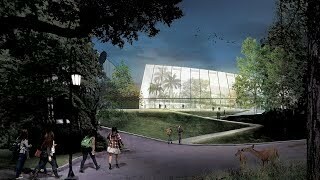 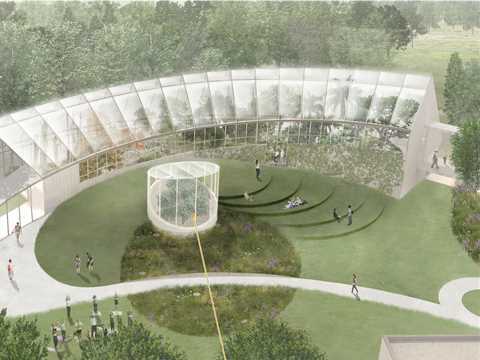 Their net-zero greenhouse for Wellesley College won the LafargeHolcim Awards Bronze 2017 for region North America. The UCLA Warner Graduate Art Studio renovation and addition by (l-r): Mark Lee and Sharon Johnston of Johnston Marklee & Associates, Los Angeles won an Acknowledgement prize. 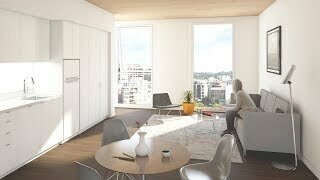 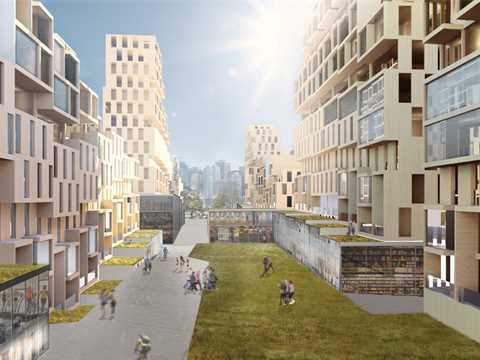 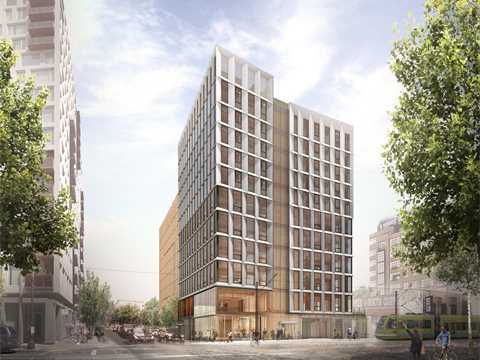 Winners of an Acknowledgement prize for the design of an All-timber high-rise load-bearing structure in Portland, Oregon (l-r): Thomas F. Robinson, LEVER Architecture and Anyeley Hallova, project^, both Portland, Oregon. Vivian Kuan (l) and Mitchell Joachim of Terreform ONE, Brooklyn, New York received an Acknowledgement prize for their modular edible insect farm. 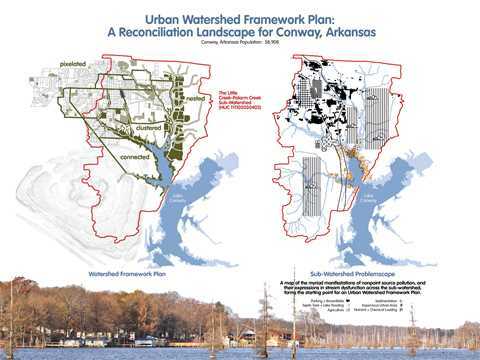 Acknowledgement prize winners for an Urban watershed framework plan in Conway, Arkansas (l-r): Stephen Luoni and Marty Matlock, University of Arkansas, Fayetteville, Arkansas. 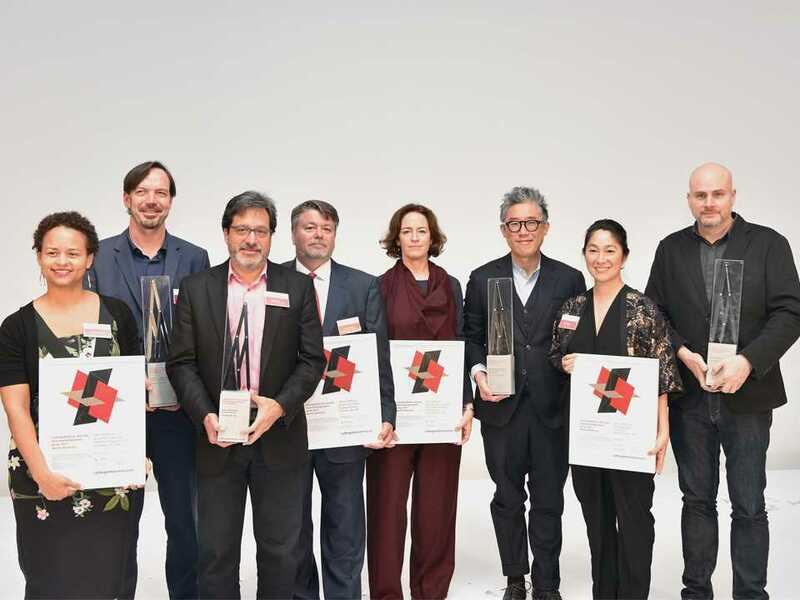 Winning teams of the four Acknowledgement prizes (l-r): Anyeley Hallova, project^ and Thomas F. Robinson, LEVER Architecture; Stephen Luoni and Marty Matlock, University of Arkansas; Sharon Johnston and Mark Lee of Johnston Marklee & Associates; and Vivian Kuan and Mitchell Joachim of Terreform ONE. 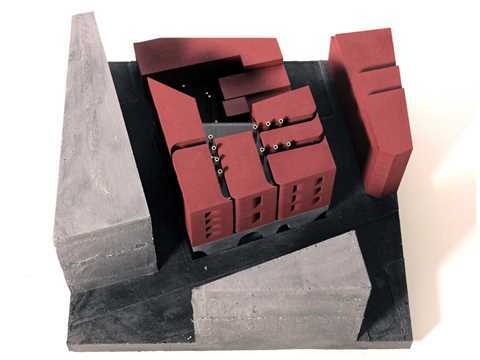 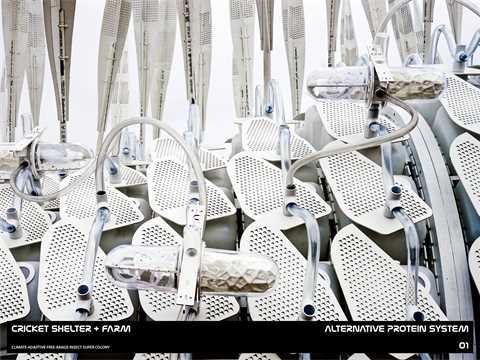 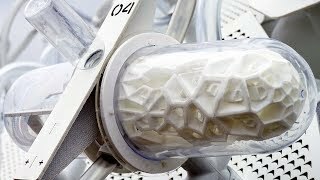 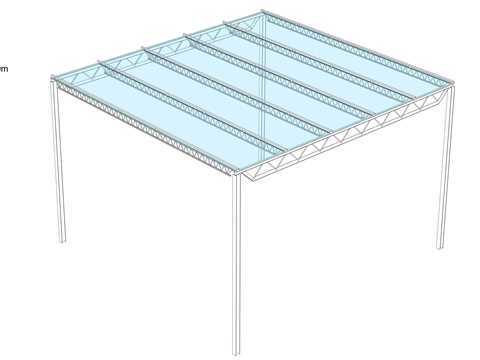 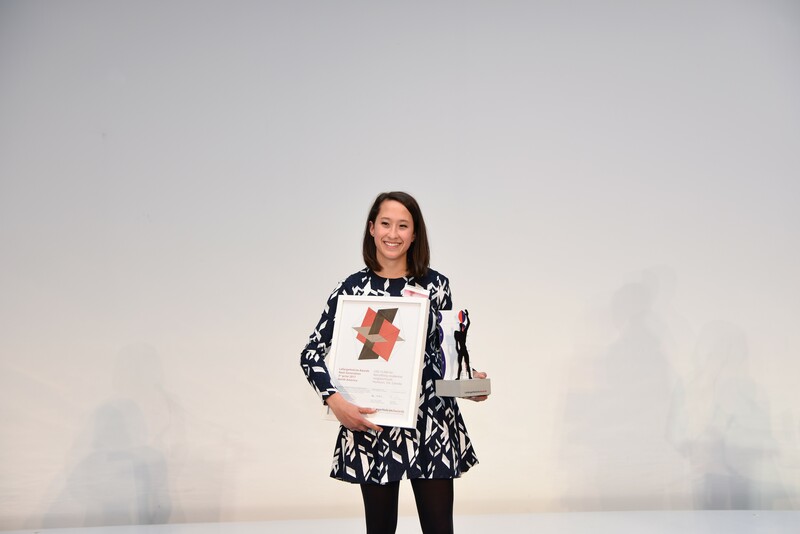 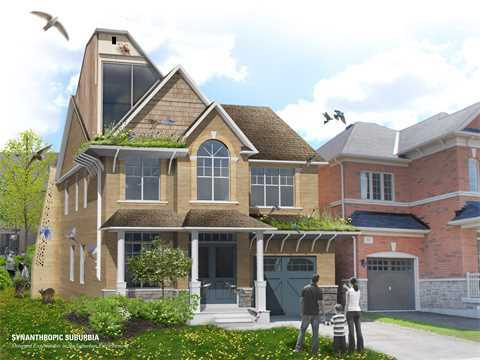 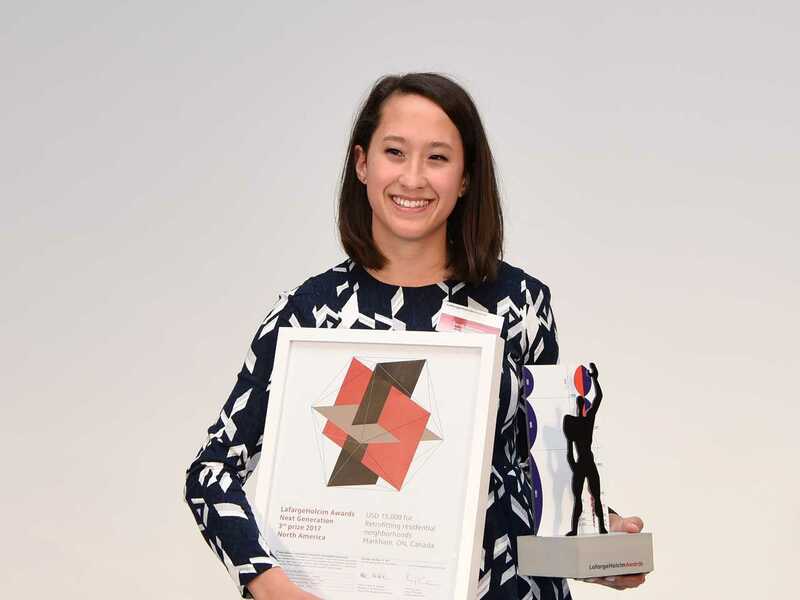 Georgina Baronian from Princeton University won the Next Generation 1st prize for a Prototype for a cooling roof. 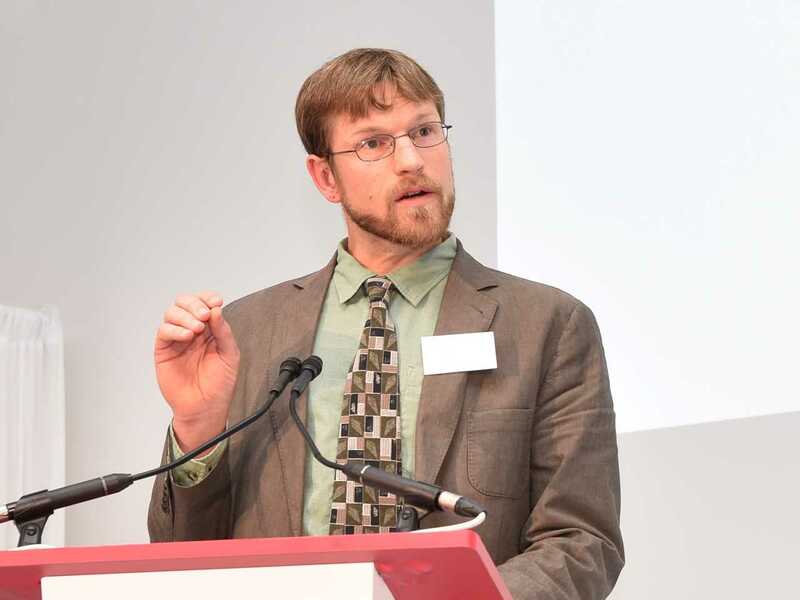 Jason Heinrich, University of British Columbia, Vancouver, Canada - winner of the Next Generation 2nd prize for a Protocol for agent-based neighborhood transformation. 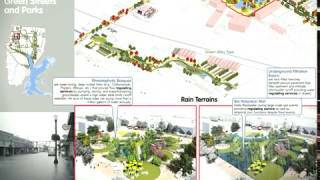 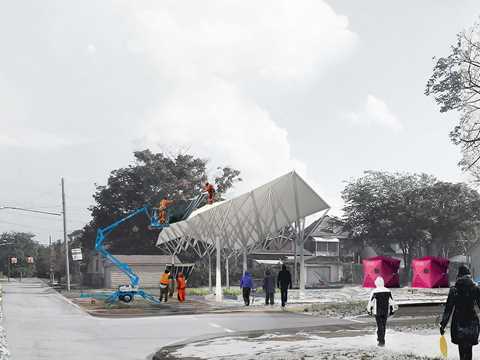 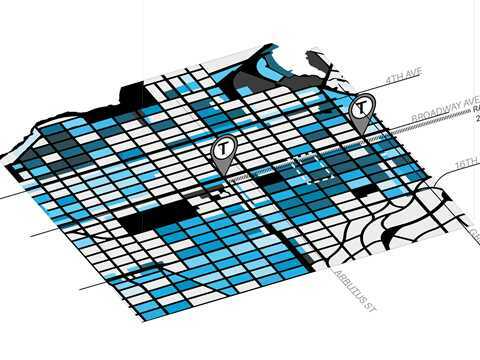 Sarah Gunawan, School of Architcture and Planning, University at Buffalo, NY - winner of the Next Generation 3rd prize for Retrofitting residential neighborhoods. 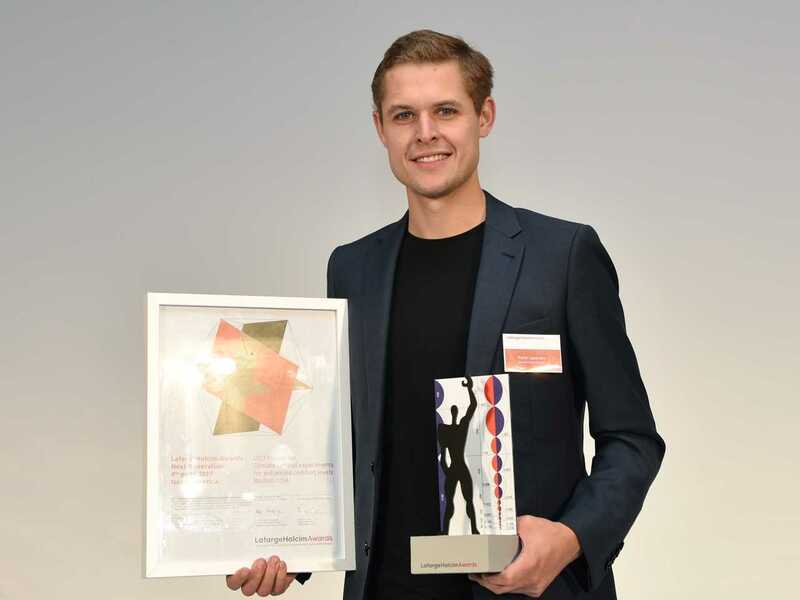 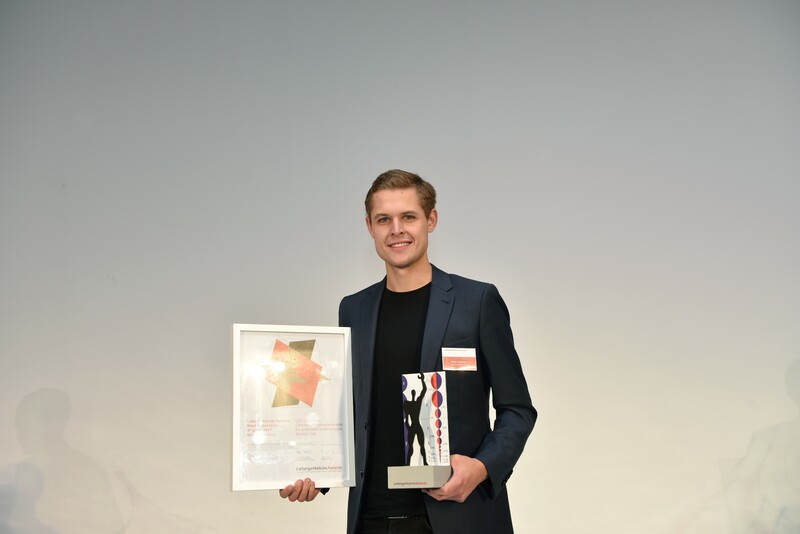 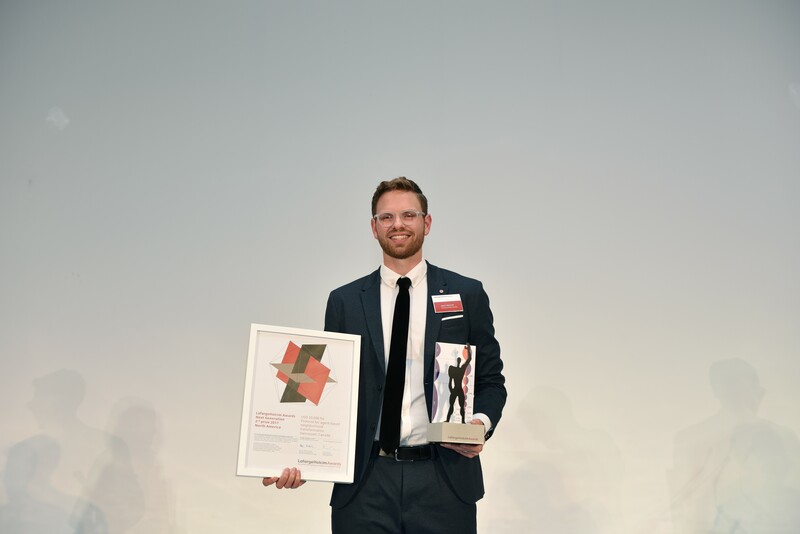 Peteris Lazovskis, Harvard University, Cambridge MA - winner of the Next Generation 4th prize for Climate control experiments for enhanced comfort levels. 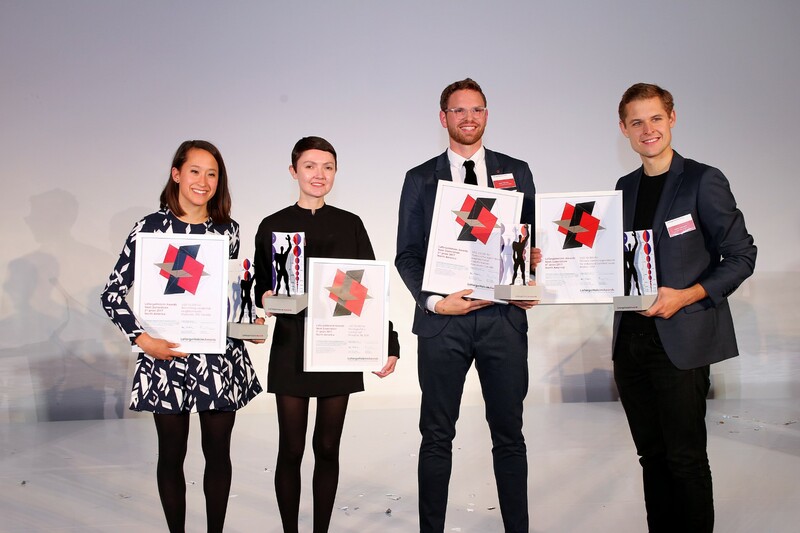 Winners of the Next Generation prizes (l-r): Sarah Gunawan, School of Architcture and Planning, University at Buffalo, New York, USA (3rd); Georgina Baronian, Princeton University, Princeton, New Jersey, USA (1st); Jason Heinrich, University of British Columbia, Vancouver, Canada (2nd); Peteris Lazovskis, Harvard University, Cambridge, Massachusetts, USA (4th). 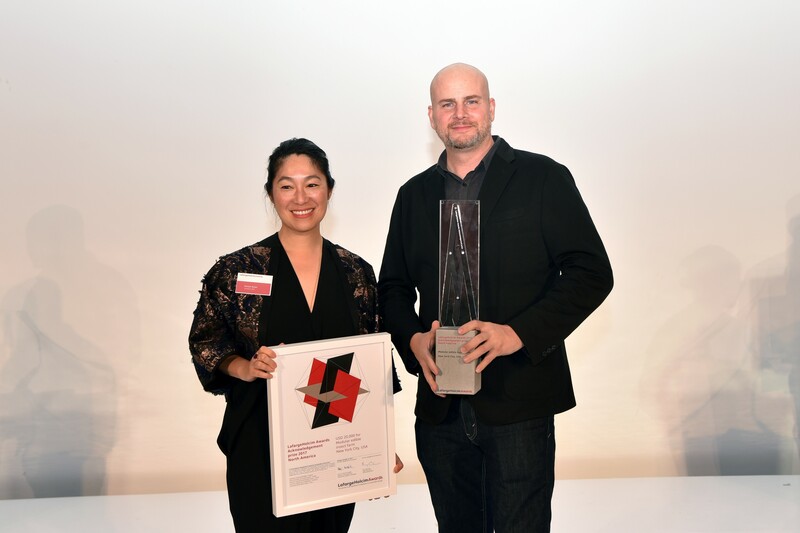 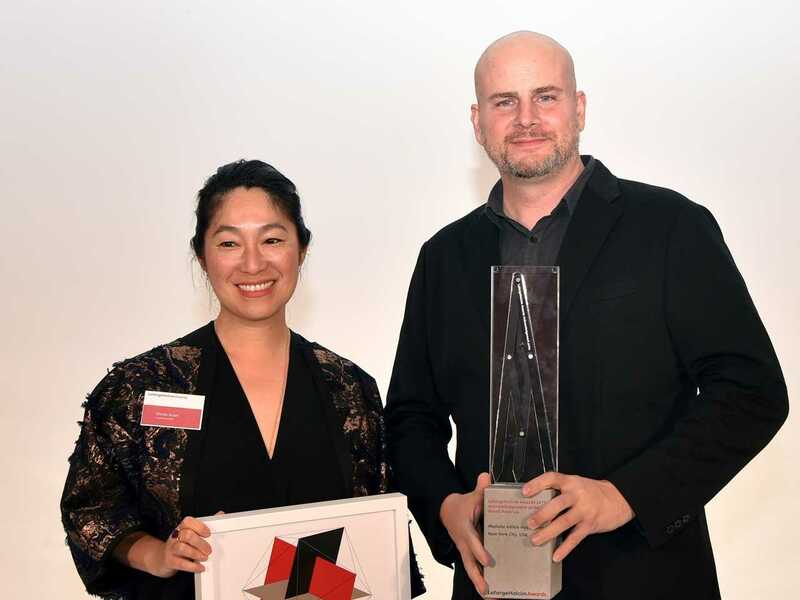 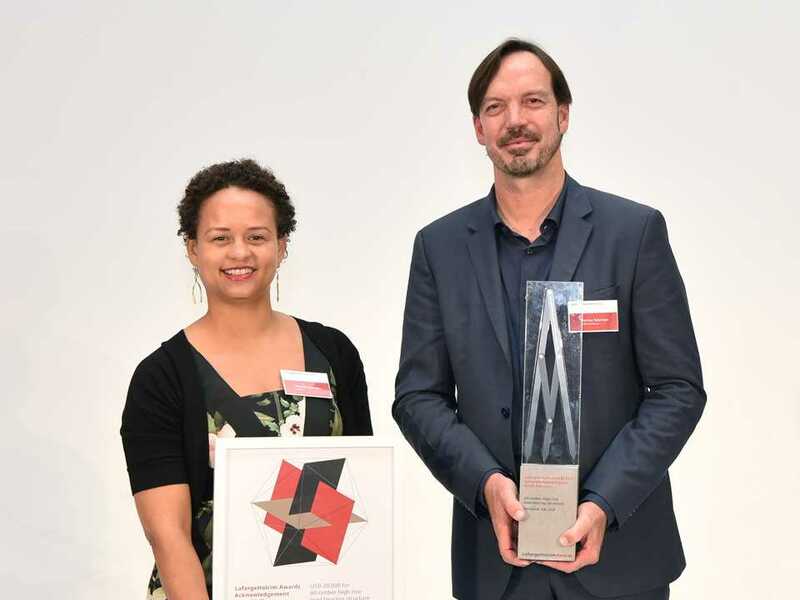 Recipients of the LafargeHolcim Building Better Recognition (l-r): Gloria Lee & Nathan Swift, SwiftLeeOffice, Los Angeles, USA. 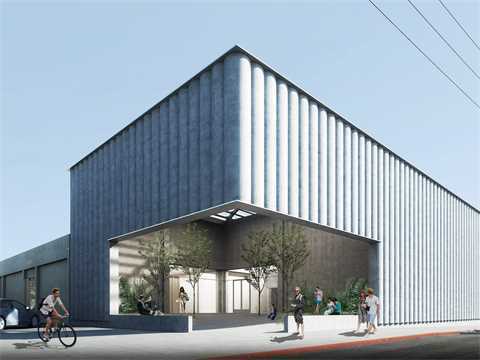 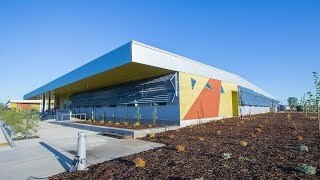 Gloria Lee of SwiftLeeOffice (SLO), Los Angeles, introduces the work of SLO including the new school building prototype for the Los Angeles Unified School District to replace several inadequate temporary structures. 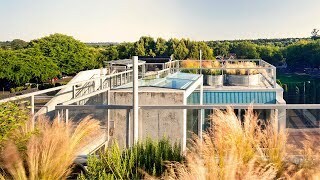 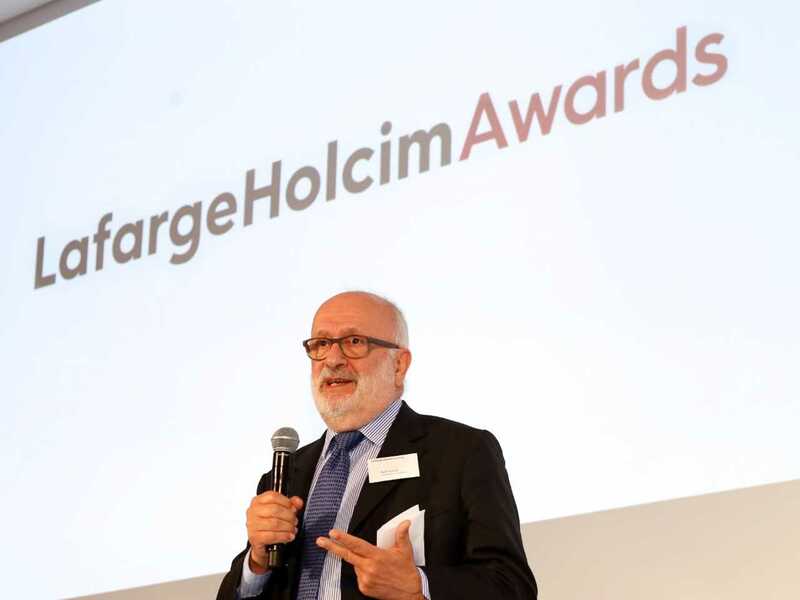 The project won the LafargeHolcim Awards Silver North America in 2011 and the LafargeHolcim Building Better Recognition for standing the test of time as a particularly successful example of sustainable building. 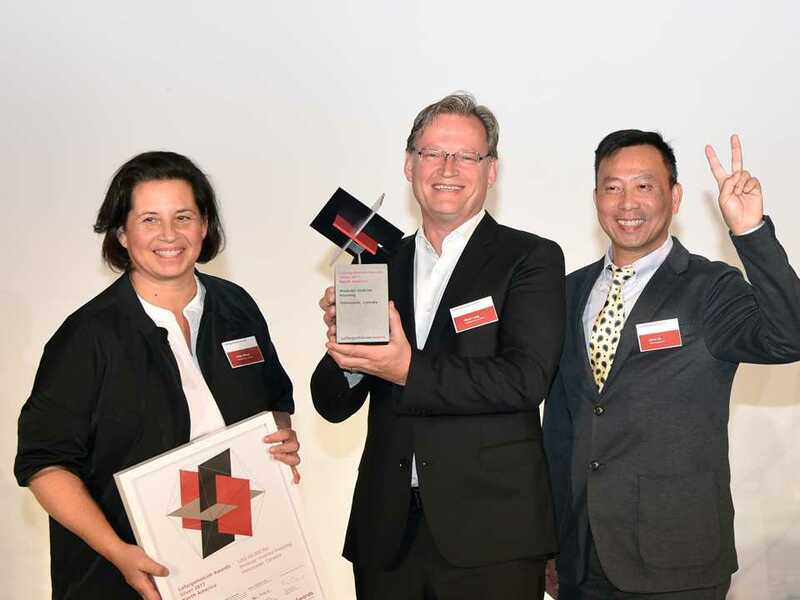 Presentation of the LafargeHolcim Building Better Recognition (l-r): Pascal Casanova, Member of the Executive Committee of LafargeHolcim responsible for North America including Mexico with recipients Gloria Lee & Nathan Swift, SwiftLeeOffice, Los Angeles, USA. 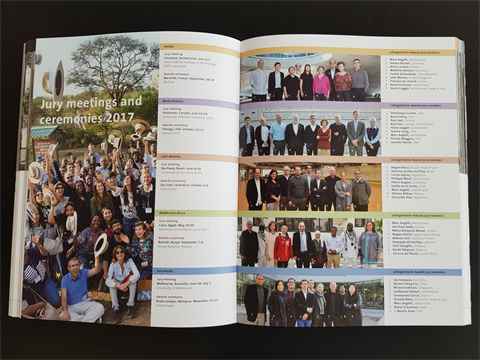 Introducing the LafargeHolcim Foundation and its role in promoting sustainable construction worldwide: Rolf Soiron, Chairman of the Board of the LafargeHolcim Foundation, Switzerland. 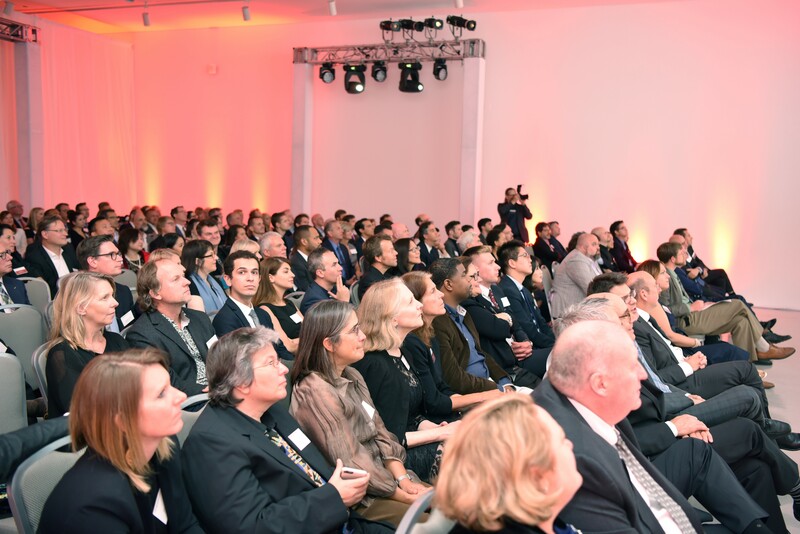 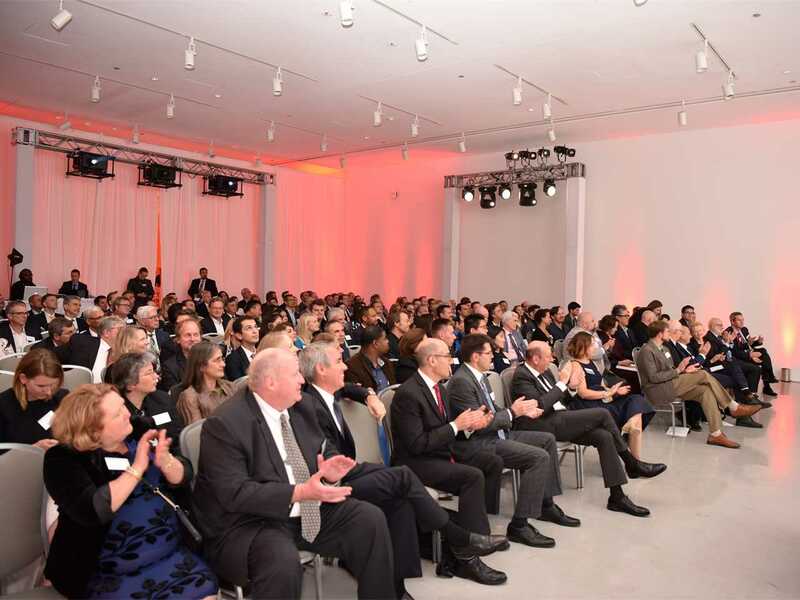 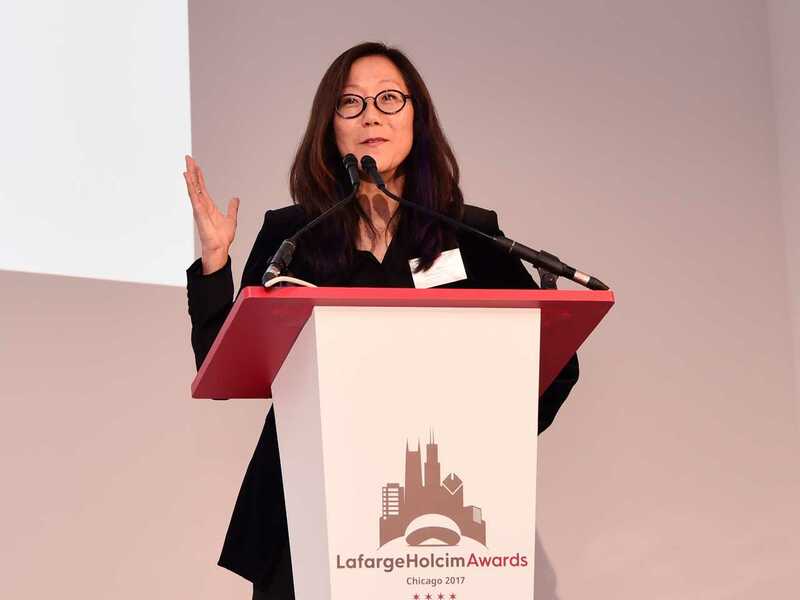 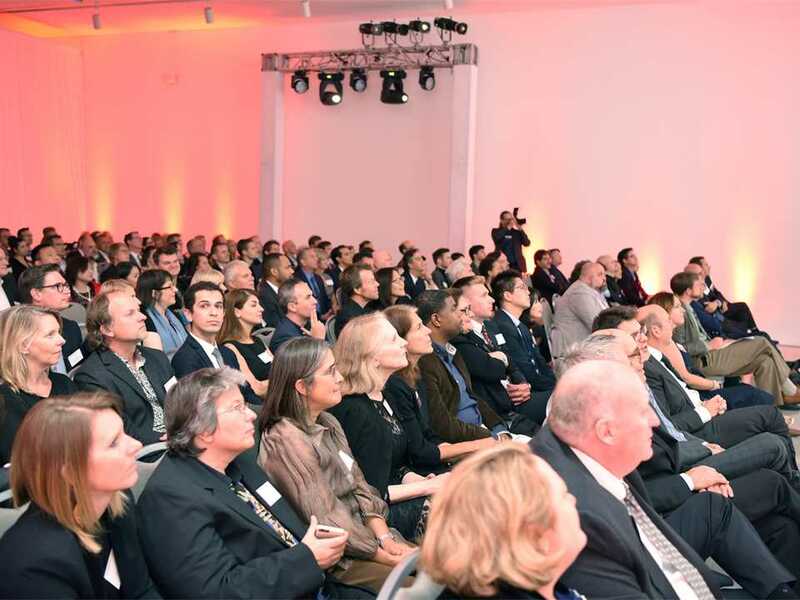 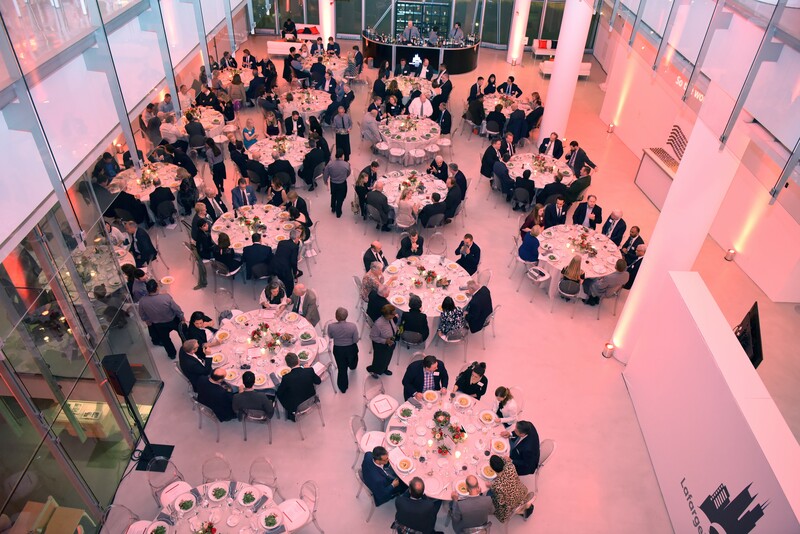 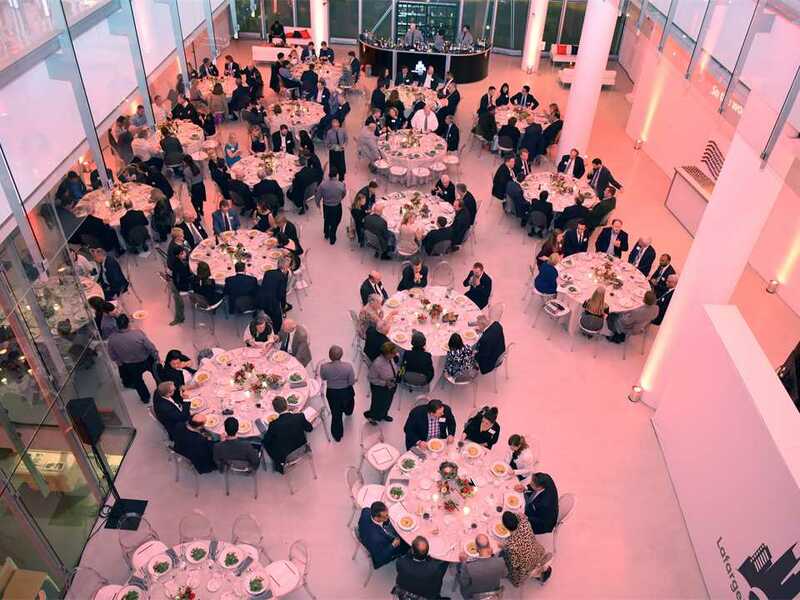 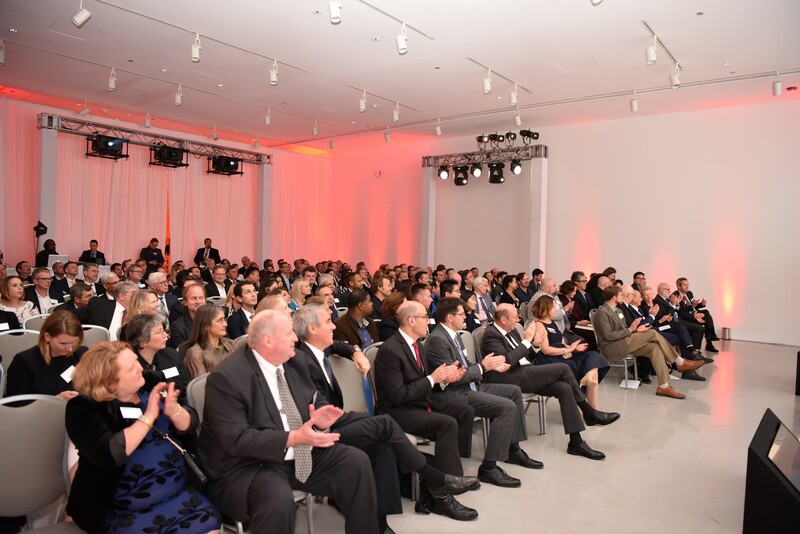 A full house of architects, engineers, building professionals and experts attended the LafargeHolcim Awards prize handover for North America in Chicago. 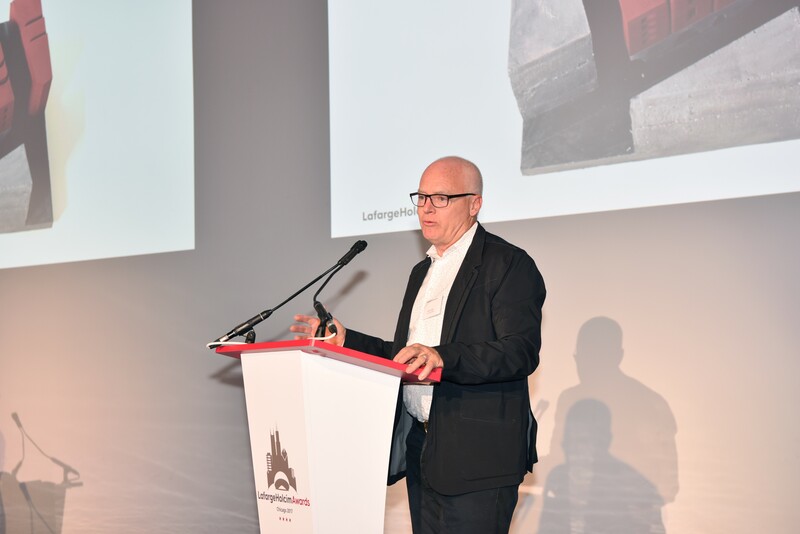 Kevin Daly, Founder Kevin Daly Architects, Los Angeles and Member of the LafargeHolcim Awards 2017 jury for North America introduces the winners of the Next Generation category for students and young professionals. 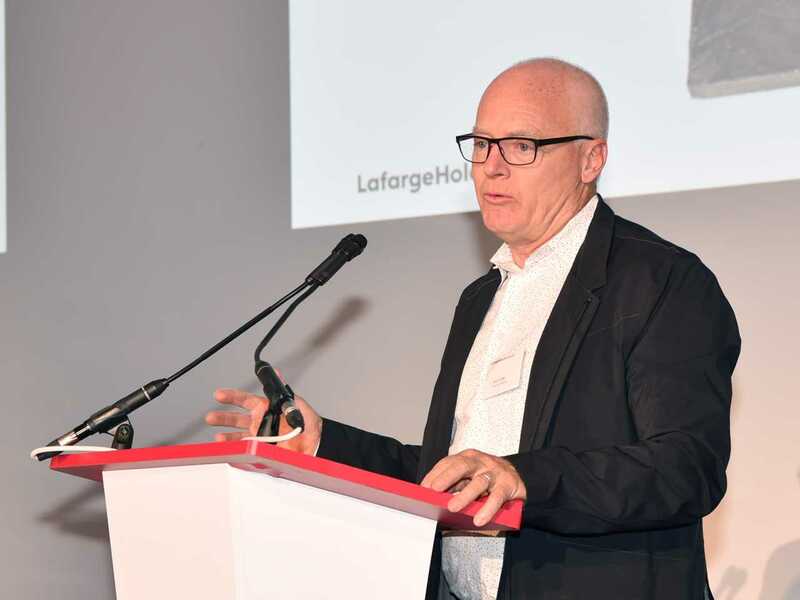 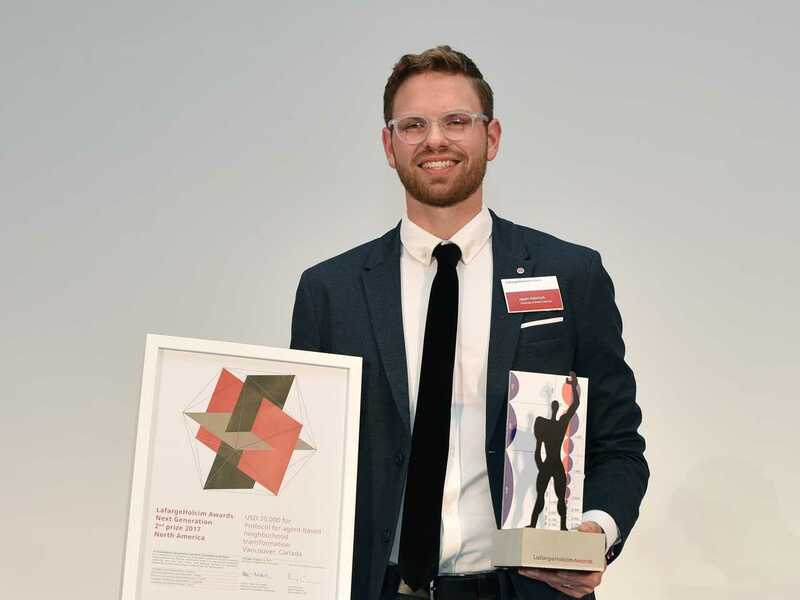 Forrest Meggers, Professor at the School of Architecture & Andlinger Center for Energy & Environment at Princeton University and Member of the LafargeHolcim Awards 2017 jury for North America introduces the winners of the LafargeHolcim Awards Acknowledgement prizes. 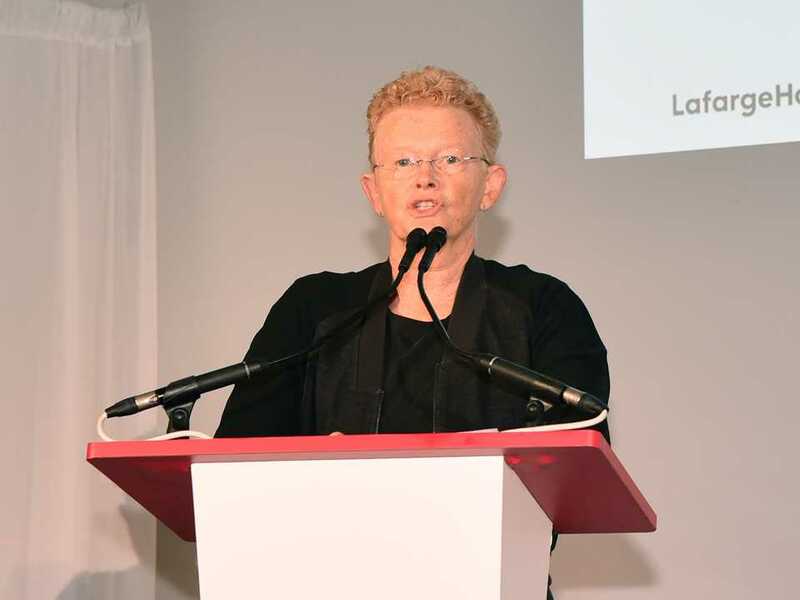 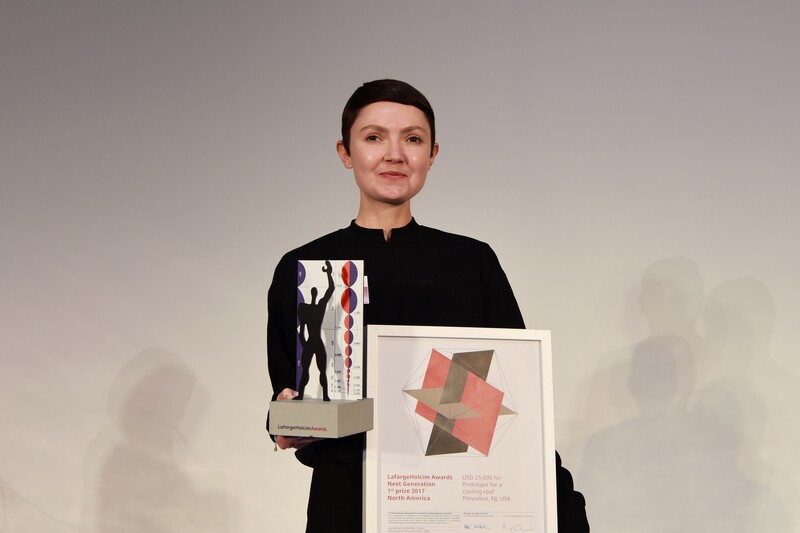 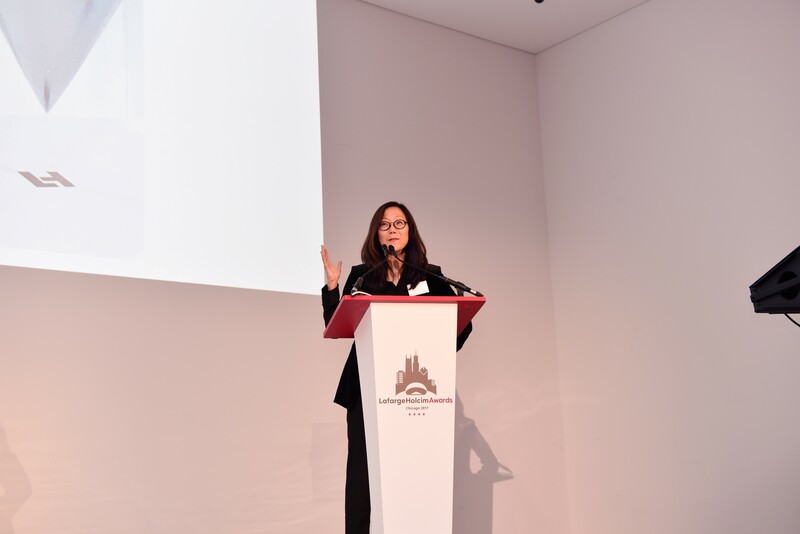 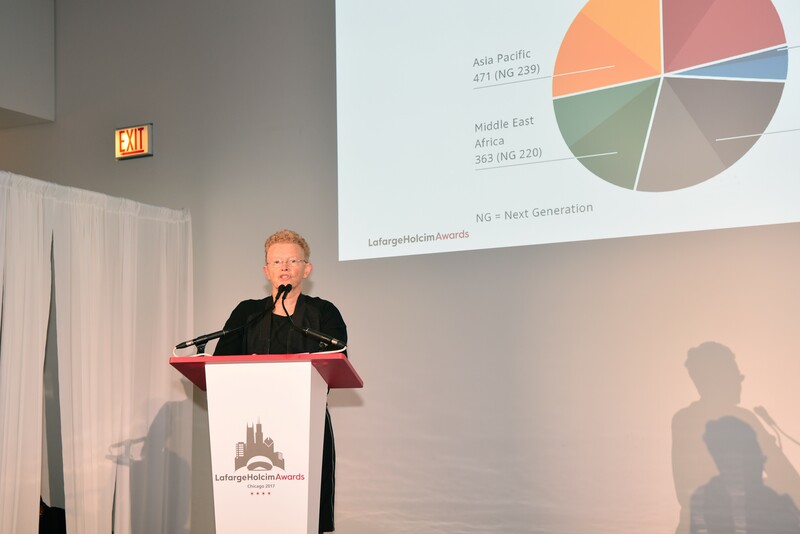 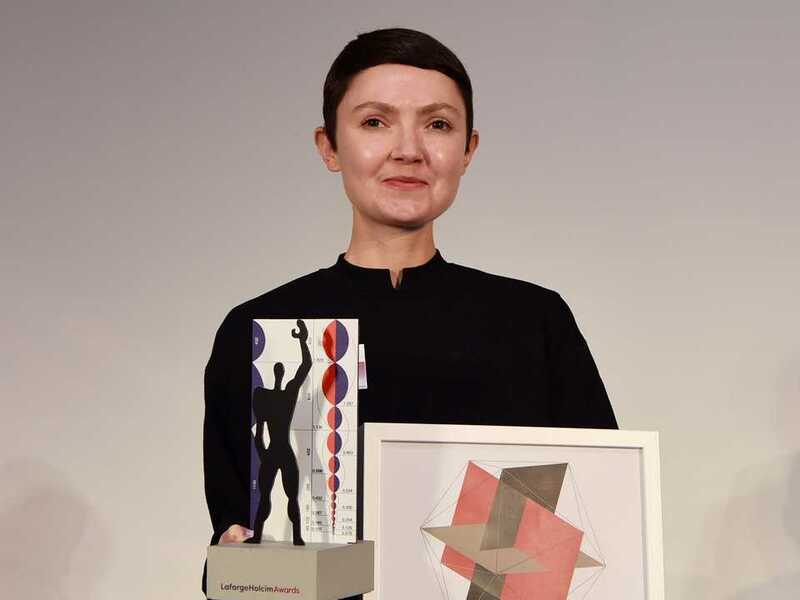 Sarah Graham, Founding Partner agps-architecture, Los Angeles/Zurich and Member of the LafargeHolcim Awards 2017 jury for North America, introduces the LafargeHolcim Awards which has become the world’s most significant competition for sustainable design. 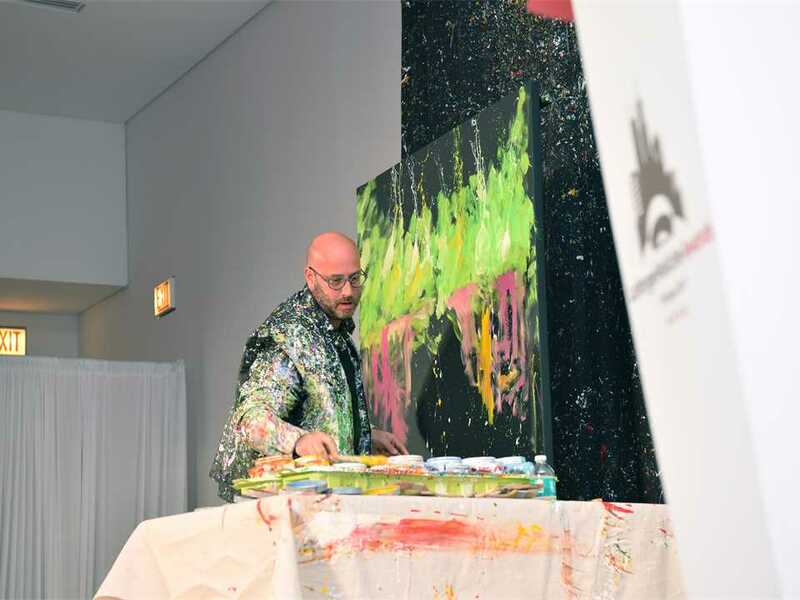 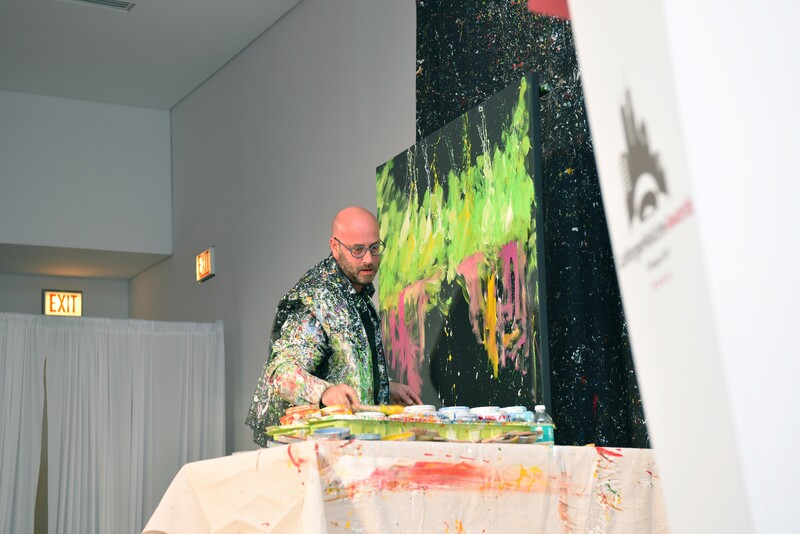 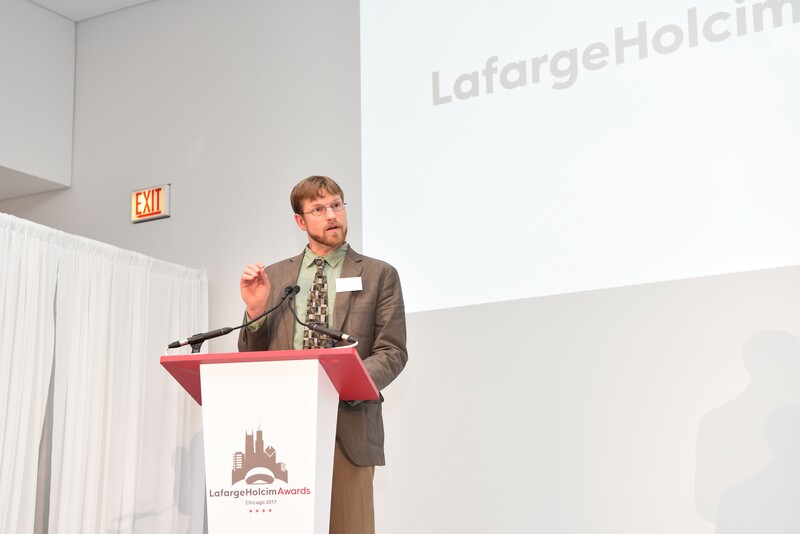 Chicago-based artbeatlive Elliott From on stage at the LafargeHolcim Awards. 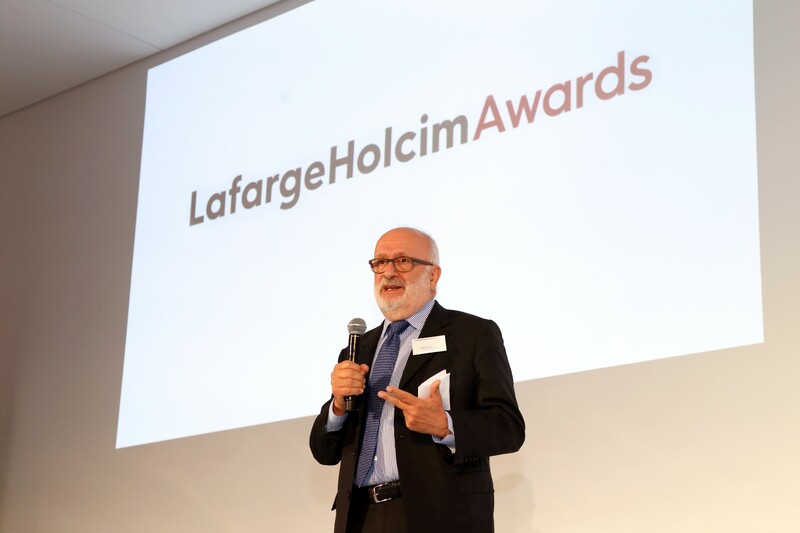 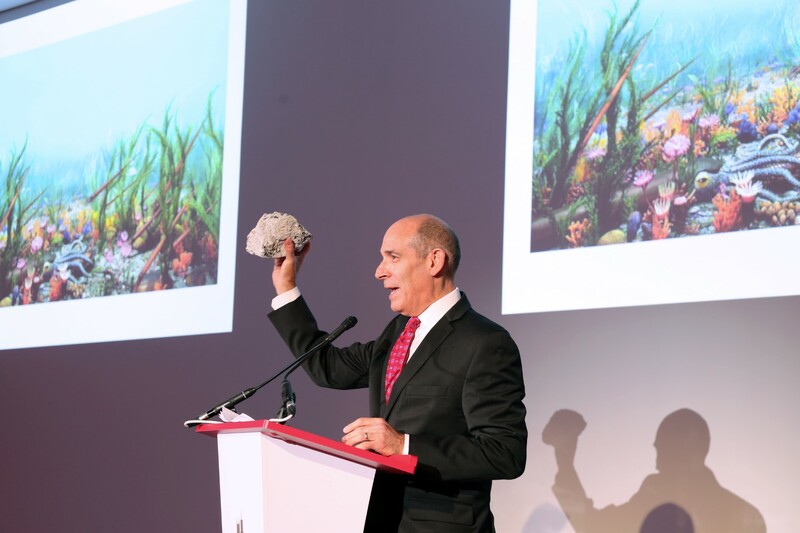 Geoffrey Baer, host of the legendary Chicago T program “Ask Geoffrey” welcomed the guests of the LafargeHolcim Awards ceremony to his city with a run-down of its 400 million year history in ten minutes. 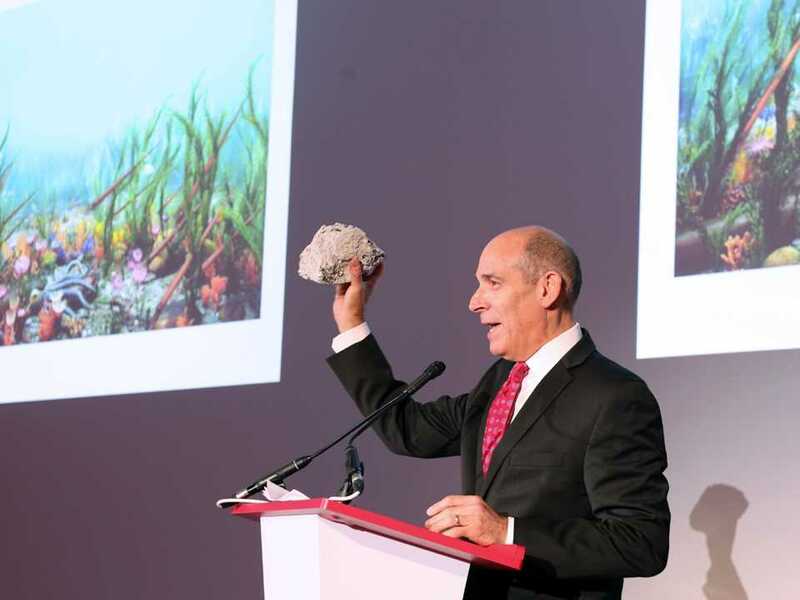 He started with the fossils of the region’s early inhabitant ammonites and rapidly brought all guests up to speed with what makes Chicago such an iconic city. 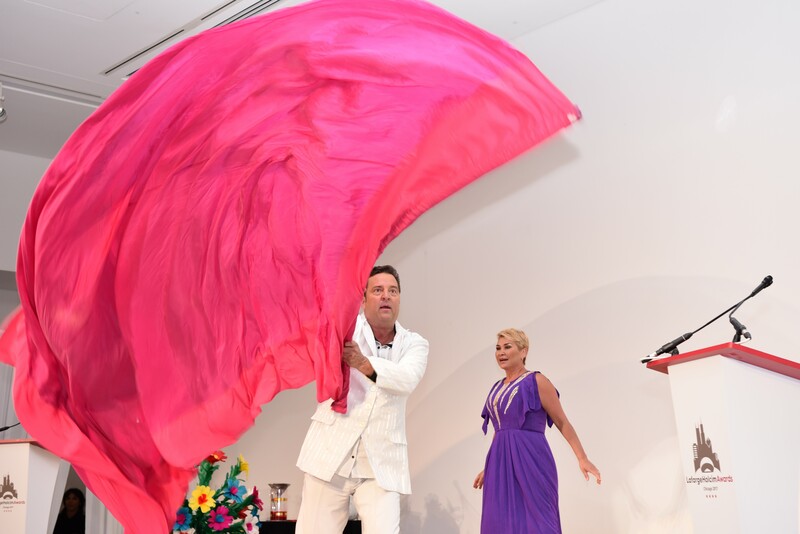 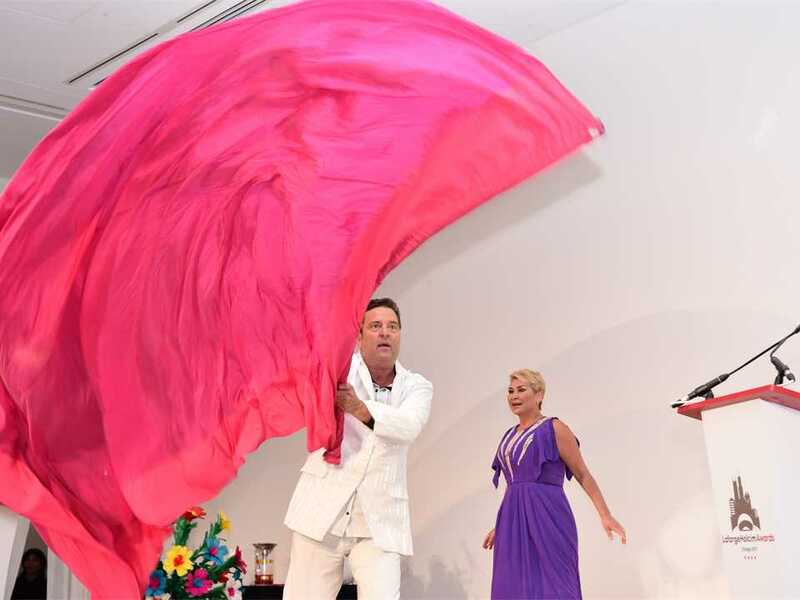 David Michael Maas and Dania Kasseva of “QuickChange” entertained the guests of the Awards ceremony with a series of elegant ballroom sequences combined with a progression of dramatically colourful costume changes. 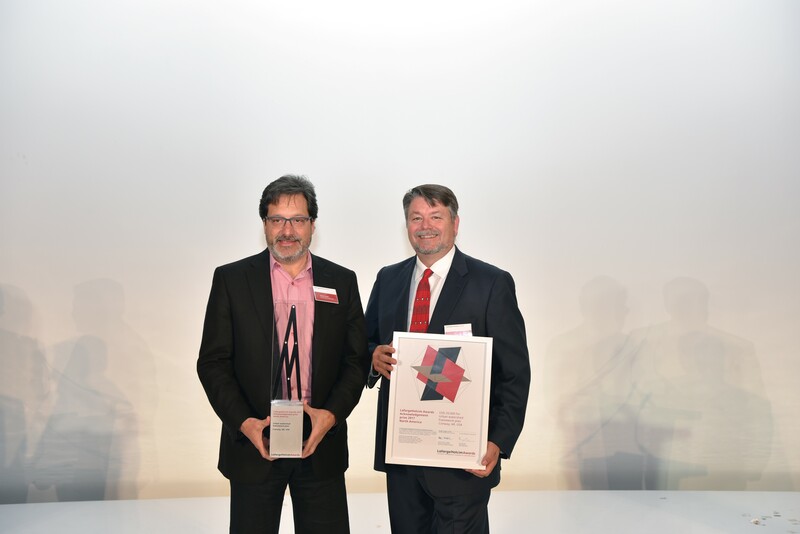 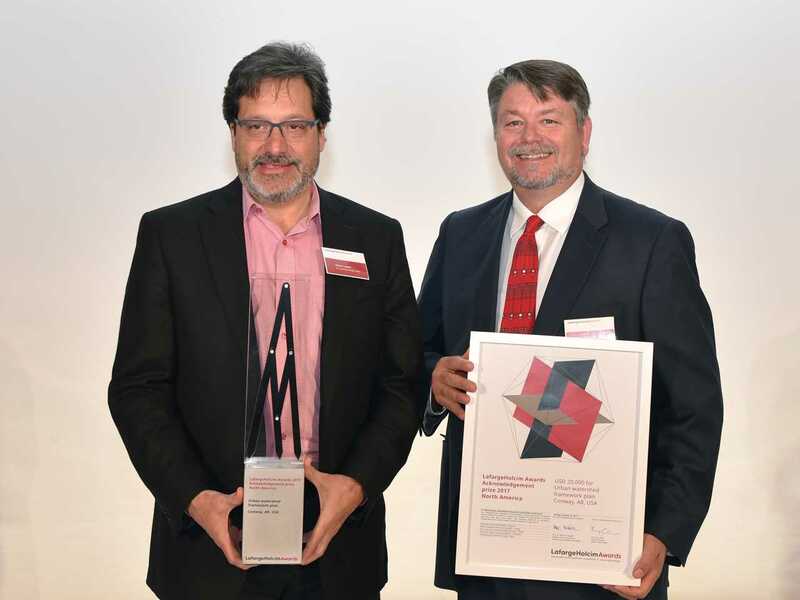 Pascal Casanova (l), Member of the Executive Committee of LafargeHolcim responsible for North America including Mexico presents the LafargeHolcim Building Better Recognition to Gloria Lee & Nathan Swift, SwiftLeeOffice, Los Angeles, USA. The winners of the LafargeHolcim Awards 2017 winners for North America have been announced in Chicago, USA. 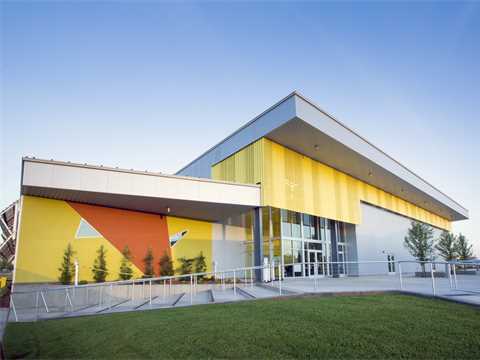 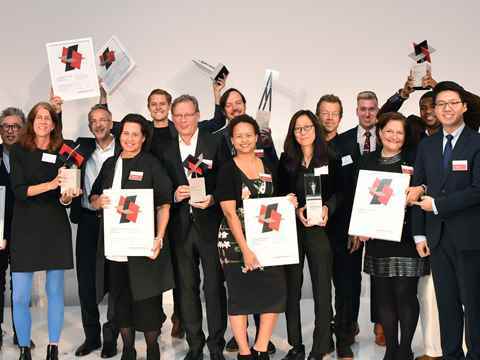 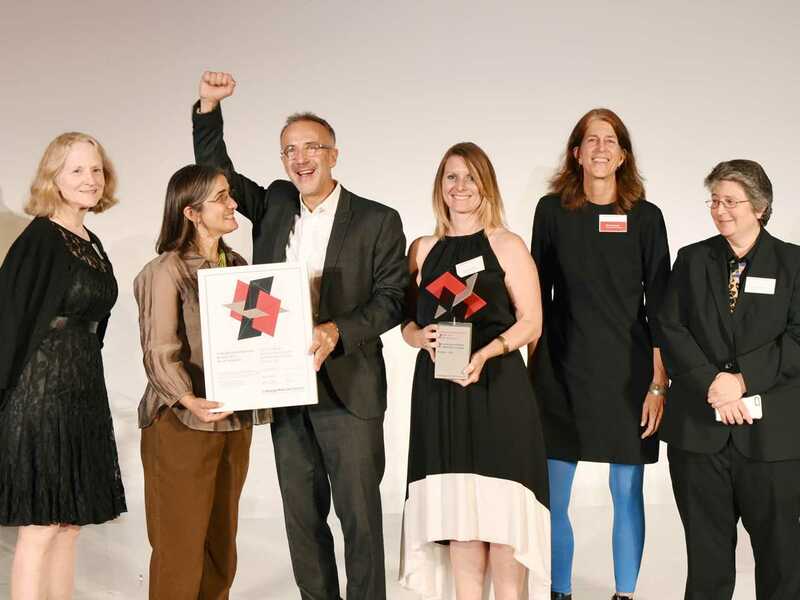 The prize-winning projects and their teams show how the leading edge of sustainable design means reaching far beyond “common sense”. 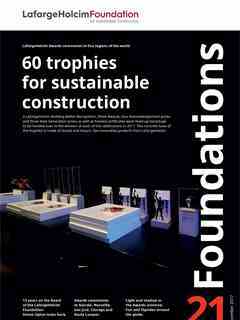 Their approaches use proven instruments that are cleverly applied to improve the quality of life. 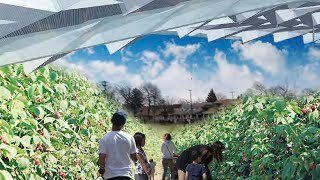 So the world builds better.